The choir of St. Mary's regularly sing Choral Evensong. This (BCP) service is normally held on the 4th Sunday of the month (except August) but can also vary depending on choir holidays and the liturgical seasons. This is a 'said' Service and all are very welcome. Often followed by Coffee in 'The Bridge' Ecumenical Centre & Coffee Shop next door. There is a Creche facility during School Term Time, available for Children of 0-3 years. This is at The Vicarage (behind the Church) during each main Sunday Service (excluding Family Service). The Children are returned to Church for Communion & Blessing. For further information contact The Vicarage on 01753 580467. 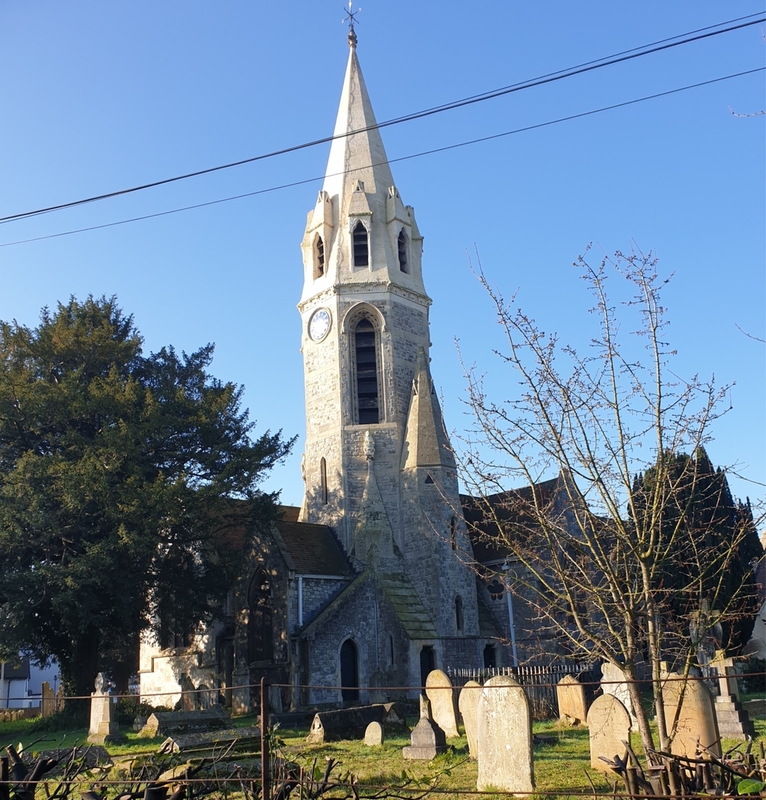 Once a month the normal morning service is replaced with a more informal Themed Family Service, supported by The Choir and The Datchet St Mary's Music Group. This takes place on the 3rd Sunday of each month. Meets on the third Thursday of the month - further details in the notices or from 01753 580467. "Joint Sung Eucharist" will be celebrated at 9.30am on the 4th Sunday of each month with our sister Church of St Thomas' Colnbrook. Normally January, May, July & October will be at Colnbrook. All other months will be at Datchet. Held on the 1st Sunday of each month. Held on 3rd Sunday of each month. Said Mattins Services will be held on the 2nd, 4th & 5th Sundays of the month. Daily Prayer in Church is said every day from Tuesday to Saturday at 8.30 am. We meet every Sunday (except when there is a Family Service) in the Church Room in Term Time and half term holidays. Children from ages 3 to 12 years are welcome. For more details contact Sally Nicholls on 01753 542983. Sunday morning worship is at 9.30am on the 1st, 2nd, 4th and 5th Sundays of each month and includes communion, a sermon, congregational singing and choral music. On the 3rd Sunday of most months at 09.30am there is normally a special Family Service without communion. 'Family Communion with Baptisms' is held on the 1st Sunday of every Month at the 0930 Service. email:[email protected] or after a Sunday service. The choir rehearses on Thursday evenings from 6.45pm to 7.45pm.